Refugee stories of courage returns to the North East! With a hugely successful launch event last year, the Stories of Sanctuary community project returns to the North East across three venues this month. Thursday 21st March it’s at Durham Cathedral, Friday 22nd March is at ARC Stockton and Sunday 24th March it’s The Cumberland Arms. Stories of Sanctuary is made up of the Sanctuary Seekers Choir, featuring the National Syrian Orchestra’s Raghad Haddad along with the project’s curator and singer-songwriter Sam Slatcher. The show itself is filled with emotion and passion and makes for an emotive, thought-provoking evening, with original songs written and performed by those with experience of seeking sanctuary. With Durham’s rich history of offering sanctuary a key influence on the work, there’s a warm invite extended into a project that inspired some long-lasting new friendships and created tender, beautiful songs of real depth, and links the past with the present. 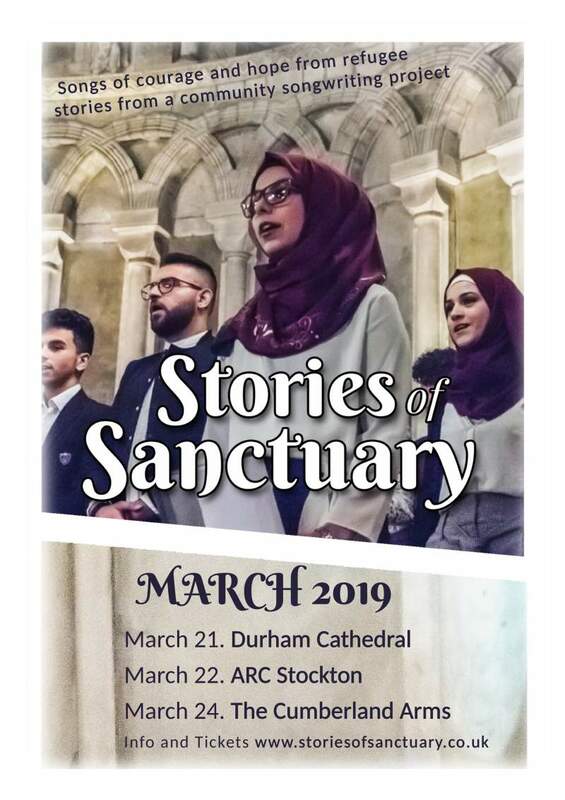 Stories Of Sanctuary is at Durham Cathedral on Thursday 21st March, ARC Stockton on Friday 22nd Marchand The Cumberland Arms on Sunday 24th March.